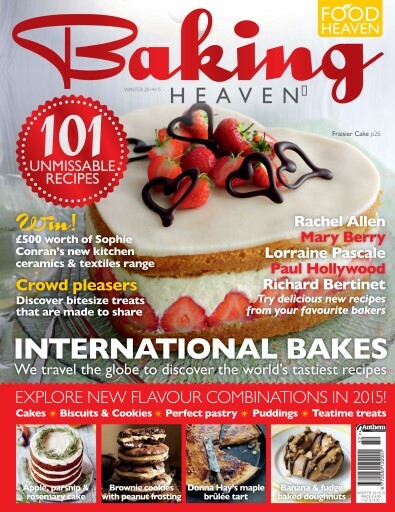 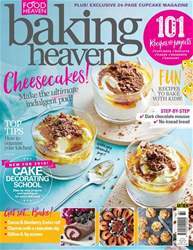 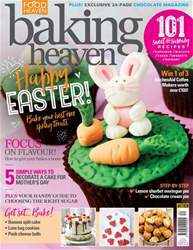 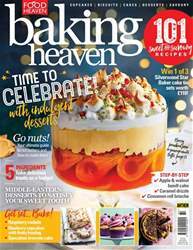 Join us for a very special issue of Baking Heaven, with recipes from Rachel Allen, Mary Berry, Lorraine Pascale, Paul Hollywood, Richard Bertinet and many more. 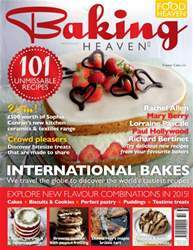 We take a trip around the world with our focus on International Bakes – from European specialities such as chouquettes and meringues to new flavours from India, Chile, Turkey and Australia. 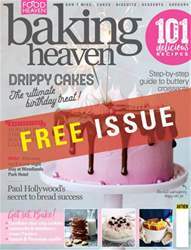 Plus we offer our usual recipes for Teatime Treats, Cookies & Biscuits, Puddings, Cakes and Lighter Bakes.